Currently ranking 7th globally in terms of its contribution to the country’s GDP, the Indian tourism and travel sector underwent an impressive 8.5% jump last year, with 2017 witnessing an additional 6.7% leap. Interestingly, domestic travel is what currently leads the charge, accounting for a staggering 88% of the total revenue generated by the tourism sector in 2016. Undeterred by increasing competition in a space that is largely unorganised, one startup has set its eyes on becoming one of the country’s top three travel distribution companies in the next five years. So, how will it achieve such a feat? For Goomo CEO Varun Gupta, the answer lies in adding value to customers and providing a consistent user experience. Headquartered in Mumbai, Goomo is a traveltech startup that distributes products and services through online channels, 15 company-owned branches and a B2B partner network. It operates across three verticals – consumer, corporate and B2B, and claims to possess a 40% market share in the trade fair and MICE (meetings, incentives, conferences and exhibitions) segment. Having raised more than $50 Mn in funding from Emerging India, Goomo is currently in a phase of rapid growth. The company’s total transacted value stands at $310 Mn. Its online platform serves more than 100K users every week, a figure that is doubling month after month. In the B2B segment, Goomo claims to be onboarding over 30,000 passengers each week. While technology has played a major role in driving the startup’s growth, Varun attributes a large part of it to Goomo’s omni-channel structure, which facilitates consumer and corporate travel bookings across offline as well as online channels. After more than a year of ideation, product development and testing, Goomo went live in March 2017 with a functional website and a legion of loyal customers. Between November 2016 and March 2017, the company worked on building core strategies. Along the way, Varun reminisces, they hired a full-fledged team to set up three travel verticals i.e. consumer, B2B and corporate. Armed with skilled tech, product and customer support teams, the traveltech startup took the leap in March. At the time, the company was leveraging its tech stack to form strong B2B alliances. Goomo’s first call centre was also erected during that time. Traveltech is one sector that is constantly evolving. People in the country’s traveltech space are at different stages in the technology adoption life-cycle. To ensure quicker and more efficient acceptance of latest standards, Goomo started investing in technology right from the start. Varun claims that, till date, they have spent more than $20 Mn in technology development and deployment. According to him, in the travel market, technology comes into play in three main areas – inventory management, “middle office” and front-end. Whether it’s a flight ticket, a hotel room, a bus booking or a train ticket, travel aggregators like Goomo get the inventory either from the operator or the source. For OTA platforms, therefore, it is crucial that the underlying technology can connect to multiple suppliers. The technology should be able to scale as the supplier base and traffic grow. If the technology is not architected properly, it tends to impede business growth, which would, in turn, result in response time problems. “The second aspect of technology usage is what we call the “middle office. Once the inventory is collated and combined from various sources, technology assists us in pricing management, lead management and customer management before it reaches the front-end. The technology works to ensure that the right information is available to the users when they want to transact with us,” explained Varun Gupta. The final portion pertains to the user interface. Here, the use of technology ensures that the information is displayed consistently on the web, mobile and tablet platforms. The ultimate goal, according to Varun, is to provide consistent user experience. To that end, the company has developed a versatile app (available on Android and iOS) that promises personalised customer experience, across all platforms and devices. At present, the startup does not have a direct presence in the B2B market and instead goes through partner agents. Unlike most players in the traveltech space that mostly operate online, Goomo allows users to work with offline partners and travel agents as well. According to Varun, the main difference between Goomo and some of the more established players in the market is that it tends to take a 360-degree-view of the customer. The company, he claims, doesn’t really want to force the customer to transact through a particular channel. There are nuances both from the customer as well as the agent standpoints. It is a combination of the target user’s needs as well as the technical limitations/specifications of the platform, which is what Goomo currently focusses on. In a country where digital penetration is still largely confined to tier I and tier II cities, Goomo believes that customers should be allowed to deal with an agent however they want. Keeping that in mind, the company also has the infrastructure in place to support offline dealings. In such cases, transparency plays a big role in enhancing trust among users who are still unaccustomed to digital technologies.With respect to the second point, there are, in fact, two levels to the relationship between the agent and the customer. For users who already have a predestined relationship with agents, Goomo’s job is to provide the agents with the technology support needed to serve the customers better. In case of users that currently do not have an agent to rely on, the traveltech startup is in the process of bringing a set of innovations over the next three to six months that will make the task of discovering agents/specialists at a convenient location faster and more efficient. Despite being a largely unorganised sector that is thronged by smaller, offline players, the Indian travel segment has undergone substantial progress in the last few years. As stated by Varun, the rollout of Goods and Services Tax (GST) in July this year also helped raise transparency and accountability in the space. With 15 offices spread across Bengaluru, Delhi and Mumbai, the company currently has a workforce of more than 350 people. Although only 18 months old, Goomo’s growth has been nothing short of impressive. Immediately after the acquisition of Orbit Corporate and Leisure Tours in 2015, the company’s total transacted value stood under $15.5 Mn (INR 100 Cr) per annum. As claimed by Varun, the figure has since increased by almost 20x, which amounts to over $310 Mn. The company’s online platform currently serves more than 100K users every week, a figure that is doubling month after month. The B2B platform, on the other hand, is used by partner agents to onboard more than 30,000 passengers each week. Thanks to Orbit’s long-standing presence in the country’s MICE market, Goomo booked over 100K trade fair and MICE passengers last year alone. Although these customers did not necessarily have access to online solutions, they became early adopters very quickly and played a major role in getting Goomo’s name across. To expedite its expansion process, the company also forged a partnership with a B2B player called Hermes. With a presence in excess of 100K retail outlets, Hermes helped Varun and his team to leapfrog in the B2B travel segment. “We are also started investing in marketing through search engines and advertisements to drive volume,” added Gupta. As a testimony to its growing presence in the country’s travel space, Goomo raised $50 Mn funding from Emerging India in June 2017. 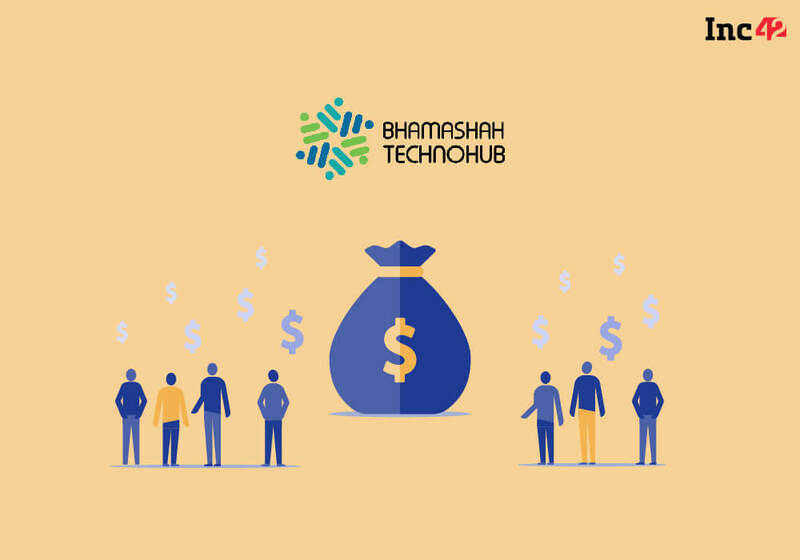 Of the total commitment of $50 Mn, the startup has so far received around $25 Mn, and will be getting the remaining amount depending on future requirements. The financing, as stated by Gupta, went into setting up the tech platform, creating new products, acquiring customers and establishing a robust channel partner network, among other things. The company is also working to streamline and automate the online booking process through the intelligent use of technology. In a bid to enhance customer experience, Goomo has also developed targeted white label solutions for its offline partners. In the B2C business, the traveltech startup recently added its hotel booking feature to provide accommodation solution across 300K hotels in India. On the corporate side, it has bolstered its trade fair businesses by integrating a wide array of travel options for flights as well as accommodation. With all this under its belt, Goomo is currently racing to hit profitability. In fact, a number of divisions in the company are slated to become profitable within the next 12 months, Gupta claimed. Goomo’s second focus in the coming months will be on getting a high degree of interaction in both offline and online markets, with the ultimate goal of providing similar experience to customers. As an added push to its existing business, the platform claiming to be looking out for acquisitions across all three of its verticals. Innovation, according to Varun, remains one of the traveltech startup’s key points of attention. At present, Goomo’s main technologies are built, tested and deployed with the help of “Ruby on Rails” (RoR) and ReactJS, both of which are distributed on a microservice architecture. To expedite the process of technology development and deployment, Goomo is currently evaluating a host of futuristic solutions that could potentially add value to its customers. Before it can integrate more forward-looking technologies, however, Gupta believes that the company will first have to build a robust infrastructure and bolster its existing platform. In October last year, the Indian startup ecosystem witnessed one of the biggest consolidations till date. Two of the largest players in the country’s online travel space, MakeMyTrip and Ibibo, announced a merger, in a deal that has since been estimated to be worth over $720 Mn. According to a report by Morgan Stanley, the valuation of the combined entity stood at $1.8 Bn. In a country where the online hotel booking sector has a penetration of only around 19%, as per a report by Deutsche Bank AG, consolidations of this scale often spell trouble for smaller and new players. According to Varun Gupta, the key to survival in such cases is to first accept that consolidation in any industry is a reality. To enhance its chances of success at a time when other players are either preparing for consolidation or looking for an exit, Goomo recently forged partnerships with global players like UNIGLOBE Travel and PAYBACK, a multi-brand loyalty programme. Through these alliances, the omni-channel traveltech startup is looking to add more diversity to its suite of travel products and expand its reach in the booming South Asian travel market. According to a Google India-BCG report, the country’s travel market (offline and online included) is expected to become a $48 Bn industry within the next three years. As per an IBEF report, the online travel space alone will likely account for 40% to 50% of total transactions by 2020. India is one of the few markets where both B2C and aggregator market continue to grow, driven by an increase in volume and frequency of transactions especially from new entrants. Leveraging the sector’s rising potential, Goomo is working to integrate technology, in order to eliminate redundancies and offer consistent customer experience. Armed with over $50 Mn in its coffers and strategic partnerships with some of the biggest players globally, the omni-channel traveltech startup is aiming for the sky.